The Taco Shack Hostel is a hostel with 12 very comfortable beds. We offers Aircon, free wi-fi, hot showers. We have a balcony which is great for chilling out and people watching. There are lockers for your security and an area for TV and DVDs if you decided to have a quiet relaxing night. The Taco Shack Hostel is owned by a backpacker who is more than willing to help with answering any questions about the island or traveling. We have a taco restaurant below the hostel where everyone just hangs out and has food and drinks, plus GREAT TACOS! The Taco Shack Hostel is in Mae Had (near the pier) so no need to take a taxi. We are a minute walk off the boat. 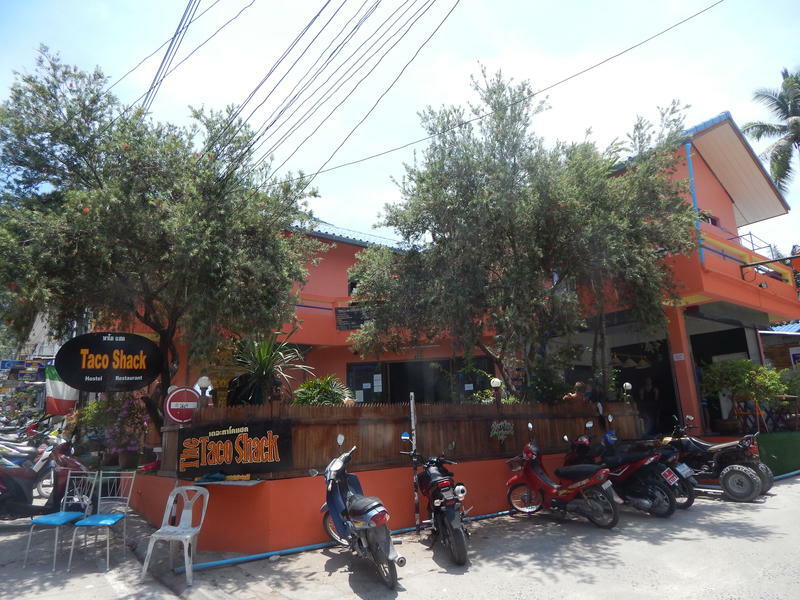 The hostel is across from Dolce Vita Restaurant and 10 meters up the road from Cafe del Sol. We are very easy to find just ask anyone.